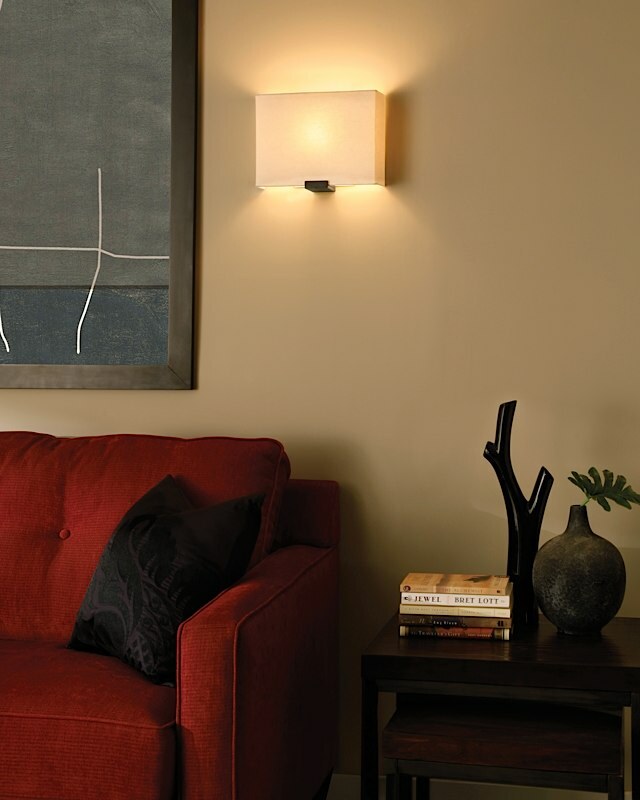 The Boreal Wall Sconce is an eco friendly, modern wall sconce. The sconce features a natural hemp fabric shade with recycled paper backing and recycled sand-cast bronze metal work. The shade and bronze are sourced within 20 miles of manufacture. To be mounted upwards only. Select incandescent, fluorescent or LED lamping. Incandesent includes 60W halogen lamp; compact fluorescent includes 18W compact fluorescent lamp (electronic ballast included); LED includes 10W, 600 lumen LED module. Incandescent may also use 75 watt medium base BT15 halogen lamp (not included). Incandescent version dimmable with standard incandescent dimmer (not included). 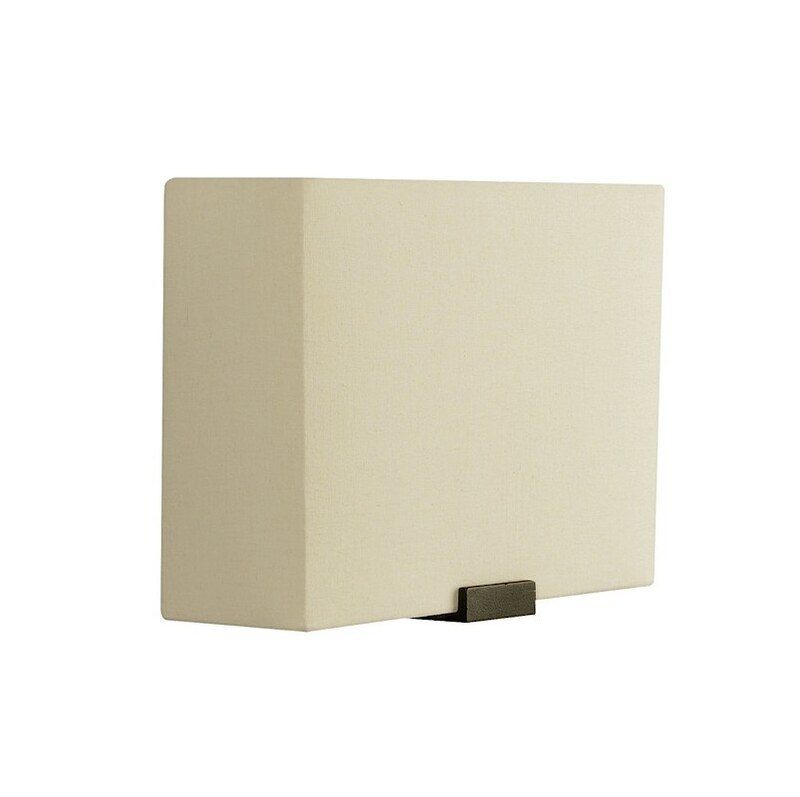 LED version dimmable with low voltage electronic dimmer (not included).ADA compliant. For full information, download the specification sheet. Note: The Boreal finishes are not an exact match to existing satin nickel and antique bronze hardware seen on other Tech Lighting products.